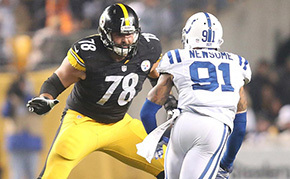 The National Football League announced its rosters for the 2019 Pro Bowl and former Army West Point football player Alejandro Villanueva '10 was picked to represent the American Football Conference. Villanueva was one of six Pittsburgh Steelers players to be voted onto the roster. This is his second-straight Pro Bowl recognition after being tabbed to the team last season. He continues to be the first United States Military Academy graduate to make the National Football League Pro Bowl since former Heisman Trophy winner Glenn Davis was a Pro Bowl selection in 1951. Byrne '93 Publishes "Annie Flynn - Front Row, Second Desk"